Did you know the floor is one of the first places a building will lose heat? On average around 16% of heat loss will be through the floor if your building is badly insulated. 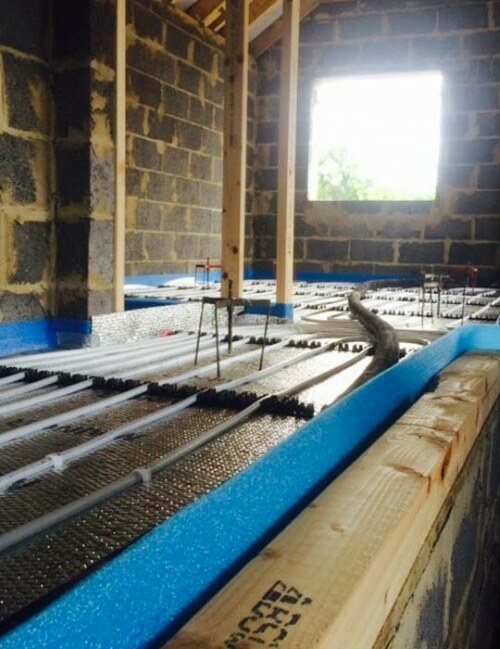 This is quick and cost effective to rectify, by installing a high-quality layer of thermal insulation underneath your floor screed. Your dedicated Screed It team will talk you through exactly what you need and why, explaining how it will be installed and the benefits you will see. Our insulation meets all relevant NBS product specification guidelines and it is installed in accordance with Building Regulations Part L, to achieve the required U-value standards. Why not consider our floor design services to get the most out of your new floor? With over a decade of bulk buying power under our belts, you can be sure that you’re getting your insulation, and other materials, at the very best trade prices. Repeat business and word-of-mouth recommendations are important to us, which is why we pass these savings onto you. Learn more about the products we use here.